Marilyn H. Simons, chairman of CSHL's Board of Trustees. 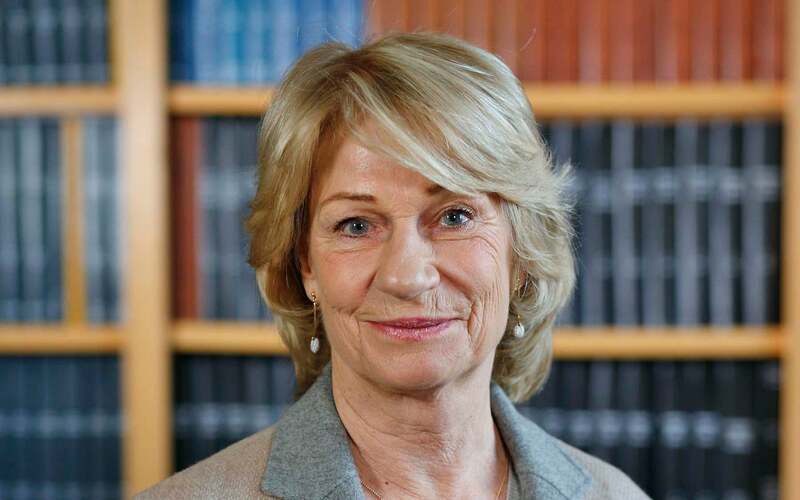 Cold Spring Harbor, NY — The governing body of the not-for-profit Cold Spring Harbor Laboratory (CSHL) elected Dr. Marilyn Simons chair of the Board of Trustees on November 17, 2018. Long-time supporter of the world-renowned biological research and education institution, Simons is joined by Vice-Chairmen Charles Cogut, Robert Lindsay, and Paul Taubman. 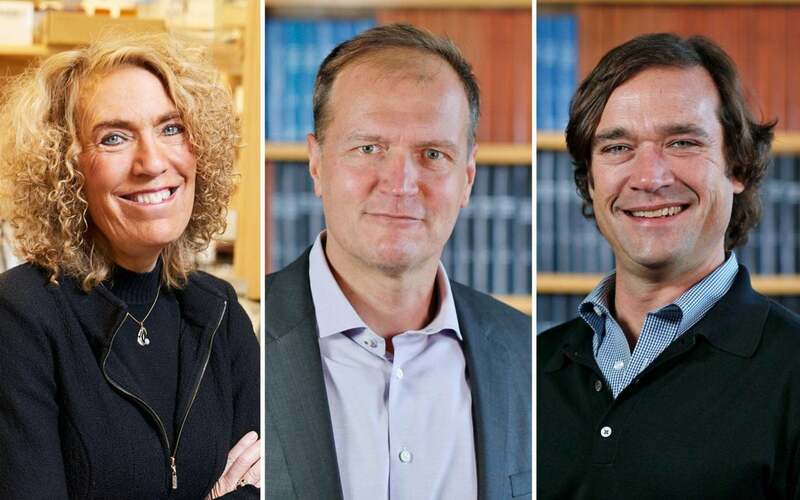 New trustees (l to r): Elaine Fuchs Ph.D., Karel Svoboda Ph.D., Geoffrey Robertson. Geoffrey Robertson is the grandson of CSHL benefactors Charles and Marie Robertson, who, in 1973 made the first contribution to the contemporary Laboratory’s endowment. He is the son of William Robertson, trustee from 1977–2018. Geoffrey Robertson is director of Business Assistance at the Vermont Sustainable Jobs Fund. He was CEO of Empower Mobility and CFO at School Spring, LLC. Robertson earned a BS and MBA from the University of Vermont. On the board of the Owl Research Institute, he was an early member of the Stowe Climate Action Network. Elaine Fuchs is Rebecca C. Lancefield Professor in Mammalian Cell Biology and Development at the Rockefeller University. An HHMI Investigator, she pioneered “reverse genetics,” a method of starting with protein and working up to elucidating the genetic basis of a human disorder caused by its mutations. Fuchs has a Ph.D. in biochemistry from Princeton University, was a postdoctoral fellow at the Massachusetts Institute of Technology, and joined the University of Chicago faculty. Her honors include the National Medal of Science, the L’Oreal-UNESCO Award, and the Albany Prize in Medicine. Fuchs is a member of both the National Academy of Sciences and Medicine, American Academy of Arts and Sciences, American Philosophical Society, and Academy of the American Association for Cancer Research.